Join us as we read scripture, pray together, sing, and break bread. 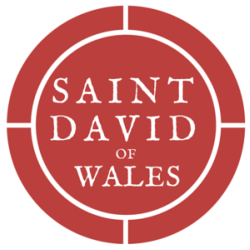 ​At Saint David of Wales we are a Jesus loving church that opens our doors to the entire community of Portland. Those who worship here come from a wide range of backgrounds. We come together to celebrate, to worship, to laugh, to pray, and to love God our Neighbors and our Neighborhood. Wherever you may be on your journey, there is a place for you here, and all are welcome. ​Come as you are, and see for yourself! 31 March, 2019, Lent 4C, Dance! Join us for Sunday Service at 9am & 11am. ​We are located between SE Hawthorne Ave and SE Division St. Street. Lots of parking available, plus bike racks. ​Easter Sunday, April 21st starting at 10:10am!